The Acuity LED 40 Series utilizes a new LED ink by Fujifilm, Uvijet KL, and is available with four, six or eight color channels. Users have the option to add light inks and varnish for stunning, high-value applications, and can also upgrade to Fujifilm's brightest white UV ink, ideal for backlit and fine art applications. Additionally, all of Fujifilm's Uvijet inks are GREENGUARD Gold certified, a stringent certification benchmark with regard to sensitive individuals such as children and the elderly, ensuring the output is suitable for use in environments including schools and healthcare facilities. "With a variety of productive print modes, light and white ink options and an LED curing system demonstrating excellent environmental benefits with significant cost benefits to users, the new Acuity LED 40 Series delivers superior print quality," said Ramona Serafino, associate product marketing manager, FUJIFILM North America Corporation, Graphic Systems Division. 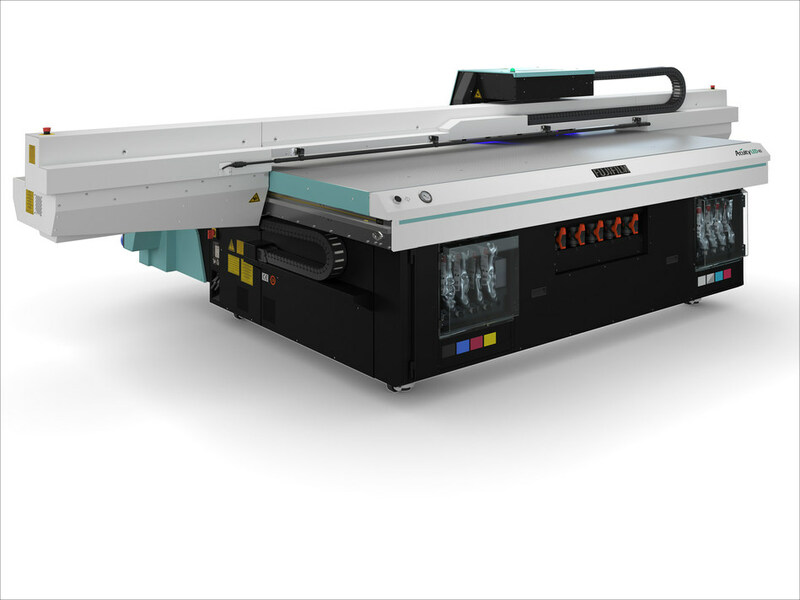 "This new series of UV flatbed printers will appeal to print service providers with a desire to output on substrates such as canvas, wood, tile, glass and heat-sensitive films."